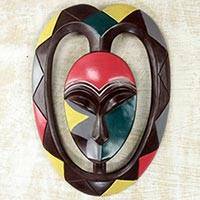 Signifying whales, a traditional African symbol is hand-carved of sese wood, centering a length of black cord. 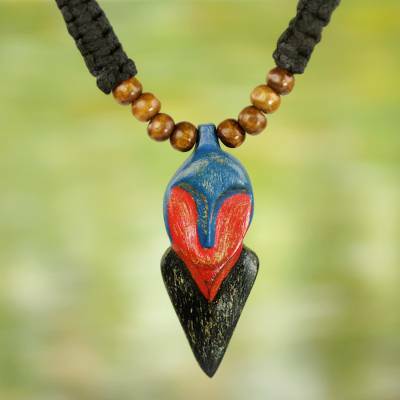 Ghanaian artisan Robert Aidoo-Taylor creates this necklace, flanking the pendant with petite wood beads. He paints the pendant in colors of blue, red, and black, naming it Odapagyan, meaning "whale" in the Akan langugage.